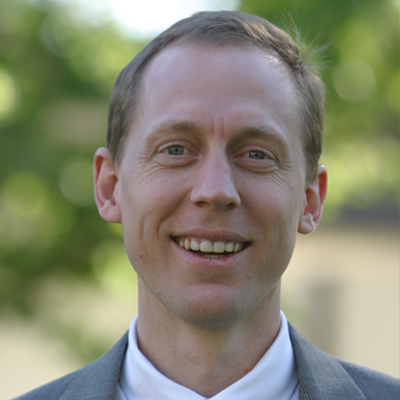 Biologist Arthur Hunt is a professor in the Department of Plant and Soil Sciences at the University of Kentucky. Since 2007 he has been claiming to have refuted Michael Behe’s thesis that irreducible complexity cannot arise by mindless evolutionary processes. Specifically, he points to an example that he maintains is an instance of an irreducibly complex system arising from scratch. The example is a mitochondrial gene called T-urf13, which encodes an ion-gated channel called URF13 that is specific to the mitochondria of maize (the corn plant Zea mays L). 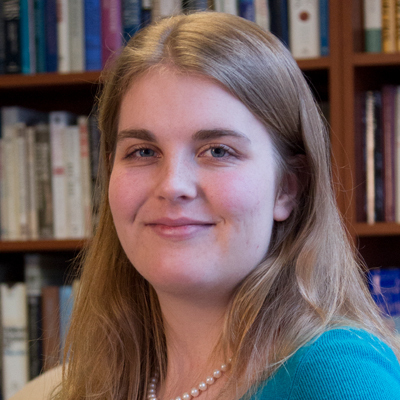 In January of this year, Hunt published a revised article online, which can be accessed and downloaded here. And now in a review of Behe’s new book, Darwin Devolves, published in Skeptic Magazine, biologist Nathan Lents at John Jay College, drawing on Hunt’s article, confidently proclaims that T-urf13 is a “clear example of random tinkering accomplishing exactly what [Behe] claims it cannot.” Is that so? There has been a spate of interest in the blogosphere recently in the matter of protein evolution, and in particular the proposition that new protein function can evolve. The original version of this essay followed a review of this subject by Long et al. Briefly, the various mechanisms discussed in the review include exon shuffling, gene duplication, retroposition, recruitment of mobile element sequences, lateral gene transfer, gene fusion, and de novo origination. Of all of these, the mechanism that received the least attention was the last — the de novo appearance of new protein-coding genes basically “from scratch”. A few examples are mentioned (such as antifreeze proteins, or AFGPs), and long-time followers of ev/cre discussions will recognize the players. However, what I would argue is the most impressive of such examples is not mentioned by Long et al. The Nature Reviews Genetics article Hunt cites, authored by Manyuan Long and his colleagues back in 2003 (Long et al., 2003), has already been discussed here and refuted at length, as well as in Stephen Meyer’s 2013 book Darwin’s Doubt (Meyer, 2013). Here, I will describe an example of de novo appearance of a new protein-coding gene that should open one’s eyes as to the reach of evolutionary processes. To get readers to actually read on — what we will learn of is a protein that is not merely a “simple” binding protein, or one with some novel physicochemical properties (like the AFGPs), but rather a gated ion channel. Specifically, a multimeric complex that: 1. permits passage of ions through membranes; 2. and binds a “trigger” that causes the gate to open (from what is otherwise a “closed” state). Recalling that Behe, in Darwin’s Black Box, explicitly calls gated ion channels IC systems, what the following amounts to is an example of the de novo appearance of a multifunctional, IC system. Hunt makes big promises, but he doesn’t deliver. It is exceedingly unlikely that T-urf13 arose de novo by unguided mutations. This, in itself, is a prima facie reason to consider alternative explanations. The T-urf13 evolutionary claim is a “just so story,” and no demonstration is offered for “textbook” evolutionary mechanisms accounting for its origins. T-urf13 in fact turns out to be a deleterious feature, rather than one that is beneficial to the organism, possibly consistent with Behe’s thesis in Darwin Devolves. URF13 is a mitochondrial protein regulated by a nuclear gene, suggesting a scheme where T-urf13 did not arise from scratch, but arose instead from a devolutionary process which broke the regulatory mechanism of some normal useful protein. What follows is a summary of Hunt’s argument and some detailed critical analysis. The cornerstone of Hunt’s argument principally concerns the gene T-urf13, which, contrary to Behe’s proposed “edge” of evolution, is supposedly a de novo mitochondrial gene that very quickly evolved from other genes that specified rRNA, in addition to some non-coding DNA elements. The gene specifies a transmembrane protein, which aids in facilitating the passage of hydrophilic molecules across the mitochondrial membrane in maize — opening only when bound on the exterior by specific molecules (Dewey and Levings, 1986). The protein is particular to the mitochondria of maize with Texas male-sterile cytoplasm, and has also been implicated in causing male sterility and sensitivity to T-cytoplasm-specific fungal diseases (Dewey et al., 1987; Hanson, 1991; Hack et al., 1991). The protein was originally identified in the mitochondrial genome of varieties of maize that had been bred for male sterility. T-urf13 has been found to be present only in male-sterile T-cytoplasm (cmsT) maize. Between 1969 and 1970, fields of cmsT maize were devastated by a fungal pathogen called Cochliobolus heterostrophus. This fungal pathogen produces a toxin that caused a disease, known as Southern corn leaf blight, in cmsT maize (Levings, 1990; Turgeon and Baker, 2007). Research uncovered that both susceptibility to the disease and male sterility correlated with the presence of a novel cmsT-specific locus, which encoded T-urf13. Several points are worth bearing in mind because they challenge this thesis. The bottom line — T-urf13 consists of at least three “CCCs”. Running some numbers, we can guesstimate that T-urf13 would need about 10^60 events of some sort in order to occur. Readers may recall the concept of a “chloroquine complexity cluster” (CCC), introduced in Michael Behe’s second book, The Edge of Evolution (Behe, 2007). Behe observed that resistance of the malarial parasite to chloroquine is rare, arising only once in every 1020 cells of the parasite Plasmodium falciparum. Behe argued that the chloroquine resistance requires at least two simultaneous point mutations. Taking into account empirical observations, he argued, this trait would be expected to arise only once in every 1020 organisms (White, 2004). In the case of Plasmodium falciparum, the malarial parasite, there are sufficient numbers of the organism for the trait to arise. However, in other organisms, like humans, there are not. Certainly eukaryotes like corn plants would also have far fewer organisms than single-celled parasites, making the evolution of complex traits more difficult. This probabilistic hurdle, according to Behe, is a significant challenge to the theory of evolution. T-urf13 forms heteromeric complexes in the membrane. This means that different subunits bind at least two other subunits. This means that each subunit must have at least two different protein binding sites. That’s at least two “CCC’s”… One more thing — the ion channel is gated. It binds a polyketide toxin, and the consequence is an opening of the channel. This is a third binding site. This is not another protein binding site, and I rather suppose that Behe would argue that this isn’t relevant to the Edge of Evolution. But the notion of a “CCC” derives from consideration of changes in a transporter (PfCRT) that alter the interaction with chloroquine; toxin binding by T-urf13 is quite analogous to the interaction between PfCRT and chloroquine. Thus, this third function of T-urf13 is akin to yet another “CCC”. This means, Hunt points out, that it would be expected to arise, given Behe’s assessment, only once every 1060 organisms. Since such an improbable feature did evolve, says Hunt, this suggests that the origination of such traits is not so unexpected after all. The take-home message of all this is: portions of the maize mitochondrial genome that do not normally encode any protein were shuffled, extensively, so as to cobble together an expressed gene that encodes, not just any old polypeptide, but a multimeric gated ion channel. In other words, an irreducibly complex structure arose in one fell swoop, using DNA sequences that do not encode proteins. Basically, this is a case of IC from scratch. But how does Hunt know that T-urf13 evolved by unguided mutational events from scratch? He doesn’t. Or, at the very least, he has not established that T-urf13 evolved by blind evolution. Such a combination of events in, to borrow Hunt’s words, “one fell swoop” does indeed seem highly improbable to occur by chance. This is especially the case given that it is estimated that only 1040 organisms have lived in the entire history of life on Earth (see The Edge of Evolution, p. 62). That is too few by a factor of 1020 for T-urf13 to evolve de novo. And, of course, if we consider the numbers of eukaryotes, or individuals of maize, the number of trials available to generate a complex feature like T-urf13 is drastically reduced by many orders of magnitude. In fact, surely such a strong improbability should prima facie cause us to consider alternative explanations to the one offered by Hunt, namely, that the T-urf13 ion-gated channel arose by chance “in one fell swoop.” If an event is observed to have happened that is highly improbable, having taken into account the available probabilistic resources, that in itself is evidence against the chance hypothesis, and it should drive us to investigate other possible options. Neo-Darwinians ridicule critics of evolution who compare the theorized evolutionary process to a tornado in a junkyard assembling a Boeing 747, an analogy originally put forward by Fred Hoyle. Defenders of neo-Darwinian theory point out that evolution is not an entirely random process and that what would be highly improbable in “one fell swoop” can be broken into numerous small, more probable, steps, each conferring some selective advantage that can be favored by non-random natural selection. This is precisely the point of Richard Dawkins’s book Climbing Mount Improbable. While Mount Improbable on the front-side is a sheer cliff that cannot be scaled by one giant leap, on the back-side there is a gradually sloping trail of small steps leading all the way to the summit (Dawkins, 1996). However, Hunt does not invoke a step-by-step evolutionary scheme where each step has a likely probability. Rather, the extremely unlikely series of events that Hunt invokes to explain the origins of this membrane gated-channel “from scratch” does bring to mind the image of the tornado in a junkyard. While the T-urf13 gene bears homology to other parts of the mitochondrial genome that do not normally code for proteins, that is not enough to establish an evolutionary pathway. It hardly seems appropriate to invoke mere sequence similarity to justify believing in highly improbable complex rearrangements of DNA sequences without first doing any assessment to ascertain the probabilistic plausibility of such a scenario. Turf 13 is a chimeric region gene which is a recombination product of 5’ region of the atp 6 gene and 3’ region of the 265 ribosomal gene (rrn 26). Its transcription is presumably under the control of the atp 6 promoter (Stamper et al., 1987). It is located in 3547-nucleotide mt DNA sequence that contains two open reading frames, one coding for urf 13 and the other for orf 221, which codes for a 25 kd polypeptide consisting of 221 amino acids and is 77 nucleotides downstream of urf 13 (Levings, 1990). The orf 221 encodes a membrane bound protein that has been identified as ATP4 (Heazlewood et al., 2003). Note that there are at least five discrete evolutionary events that must occur in order for T-urf13 to arise: First two sections of DNA (the 5′ region of the atp 6 gene and 3′ region of the 265 ribosomal gene) must be brought together by random mutation. But this alone is not sufficient to produce a functional gene. The second step is that the atp 6 promoter must be brought into a position to control the gene. Third, fourth, and fifth: The three binding sites needed for T-urf13 to operate must evolve (two to bind the subunits and one to bind the polyketide toxin that opens the gated channel). Presumably, unless all of these events occur, T-urf13 cannot function to provide any selectable advantage in certain contexts. Hence Hunt’s claim that it must arise “from scratch.” But what is the likelihood of all of these events occurring? No ID critic and no evolutionary biologist seems to care enough even to ask the question. No attempt has been made, either by Arthur Hunt or in the literature on T-urf13, to demonstrate the probabilistic plausibility of such a complex recombination event having taken place. If T-urf13 did evolve from scratch, the likelihood of its unguided origin taking place has not been established. A further point that needs to be noted is that the phenotype is in fact harmful, not beneficial, to the organism. It results both in male sterility and susceptibility to the fungal toxin. T-urf13 would probably never persist in a natural context and only does persist because it has been artificially selected for by humans who want to breed corn strains with male sterility. In fact, one of the major reasons we know that T-urf13 is responsible for cytoplasmic male sterility and disease susceptibility is the presence of revertant mutations that delete the T-urf13 gene in cell culture experiments where cms-T maize is grown on a medium containing BmT toxin, rendering the plants disease resistant and male fertile. What’s surprising, however, is that when those experiments were repeated without toxin selection, occasional revertant mutations were nonetheless obtained. These results suggest that the T-urf13 gene confers a selective disadvantage that is independent of sensitivity to the BmT toxin (Pring et al., 1988). Restriction enzyme mapping and nucleotide sequencing of mitochondrial DNAs have been used to analyze approximately a dozen revertants — that is, instances where T-urf13 was lost. In most cases, the T-urf13 gene has been deleted from the mitochondrial genome as a result of recombination (Rottmann et al., 1987; Wise et al., 1987; Fauron et al., 1990). The plethora of evidence that mitochondrial activity plays an important role in plant reproduction provides strong support for the loss-of-function hypothesis for the mechanism of CMS. The facility with which pollen production is impaired by disturbance to mitochondrial metabolism seems to render the search for other types of mechanism superfluous. Indeed, it has been theorized that a nuclear-encoded protein called Rf2, an aldehyde dehydrogenase, plays a role in restoration of fertility in male-sterile cmsT maize (Cui et al., 1996). It is thus quite telling that, as their flagship example of a new protein complex arising de novo, Arthur Hunt, Nathan Lents, and others choose to promote a system that in fact causes harm to the organism that bears it. Surely if there were a better example — one that is functionally advantageous to the organism — then they would be touting that instead. Hunt’s claim in his essay is that his example “should open one’s eyes as to the reach of evolutionary processes.” And yet, again, the example he offers turns out to be one that harms, rather than benefits, the organism. It is also curious that Hunt’s evolutionary model requires an incredible series of mutations that get fixed in a strain of corn — but not for the purpose of providing a benefit to the organism! Something else seems to be at play here. One possible scenario is that the URF-13 complex is involved in some other process, and that it became broken such that it was no longer properly regulated. Indeed, the first identification of T-urf13 long pre-dates the sequencing of the maize genome in the early 2000s (Chandler and Brendel, 2002; Schnable et al., 2009; Soderlund et al., 2009; Gore et al., 2009; Vielle-Calzada et al. 2009). It thus was impossible to determine whether the T-urf13 gene had indeed arisen de novo “from scratch,” or whether it was already present and doing something else. Is there any evidence to support such a hypothesis? For one thing, as already mentioned, T-urf13 appears to be under the regulation of a nuclear-encoded protein, namely, Rf2 (Cui et al., 1996). This seems to suggest that T-urf13 may have been previously involved in other processes. In short, the first thing to realize about T-urf13 is that it is a deleterious feature. It is associated with sensitivity to a fungal toxin and also correlates with male sterility. It only persists due to man’s artificial selection of corn strains and probably would not persist on its own in nature. The second thing to realize about T-urf13 is that it is found only in Texas Maize, a sub-strain of corn that represents only a fraction of the total number of individual corn plants compared to the total worldwide corn population. Arthur Hunt’s explanation involves a series of events that would require up to 1060 individuals to generate the feature de novo or “from scratch,” completely via unguided, chance evolutionary mutational processes. And this occurred in a small sub-strain of corn NOT to produce some advantageous feature but instead to produce a deleterious feature which then spread through the strain. His story seems highly unlikely on many levels. First, there are vastly insufficient probabilistic resources to generate the feature de novo in this sub-strain of corn, much less in all corns, much less in all plants, much less in all plants that have lived in the entire history of the Earth, much less in all organisms that have lived in the history of the Earth. Proponents of conventional evolutionary theory frequently say things like, “Wow, isn’t it amazing that this thing evolved!” But this is backwards reasoning as they haven’t established that it did evolve. They ignore probabilistic questions. If one acts like a scientist and considers the math, Hunt’s unlikely evolutionary scheme is falsified. It seems wild speculation that is simply prohibitively improbable and should be disregarded. The great improbability of a de novo “from scratch” creation of T-urf13 is itself an argument against such a hypothesis. Random mutations will break or blunt molecular functions far more frequently than they will create new ones. T-urf13 is under nuclear regulation, consistent with it having previously been involved in other processes. These facts can lead to an ID-inspired Behe-esque devolutionary hypothesis that is consistent with the known evidence: The URF13 mitochondrial gated channel, that is correlated with cytoplasmic male sterility and sensitivity to the fungal toxin, in fact evolved from a gated channel performing some function in maize, the regulation of which became broken. In this scenario, URF13 evolved — NOT “from scratch,” though. Instead it devolved from a pre-existing protein that was once fully functional, but whose regulation became broken. The resulting broken feature is, however, harmful to the organism and associated with male sterility and fungal toxin sensitivity. Hence, there are many reversions which simply delete T-urf13 and get rid of the problems it causes. It is not prohibitively improbable and it doesn’t invoke a wildly unlikely series of mutations that could never arise in small populations like this sub-strain of corn. It doesn’t invoke a wildly unlikely evolutionary scheme to do something that in the end doesn’t even help the organism. It takes into account the fact that random mutations tend to break or blunt molecular functions much more frequently than building new ones. It explains why T-urf13 is regulated by a nuclear gene. 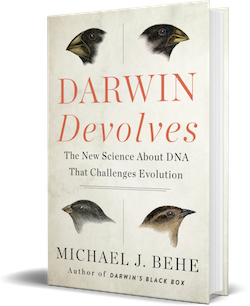 Behe, M.J. (2019) Darwin Devolves: The New Science About DNA That Challenges Evolution. HarperOne. Behe, M.J. (2007) The Edge of Evolution: The Search for the Limits of Darwinism. The Free Press. Budar, F. and Berthome, R. (2007) Cytoplasmic Male Sterilities and Mitochondrial Gene Mutations in Plants. In book Annual Plant Reviews Volume 31: Plant Mitochondria. Chandler, V.L. and Brendel, V. (2002) The Maize Genome Sequencing Project. Plant Physiology 130:1594-1597. Cui, X., Wise, R.P., and Schnable, P.S. (1996) The rf2 Nuclear Restorer Gene of Male-Sterile T-Cytoplasm Maize. Science 272:1334-1336. Dawkins, R. (1996) Climbing Mount Improbable. Penguin. Dewey, R.E. and Levings, C.S. (1986) Novel recombinations in the maize mitochondrial genome produce a unique transcriptional unit in the Texas male-sterile cytoplasm. Cell 44(3):439-449. Dewey, R.E., Timothy, D.H., Levings, C.S. (1987) A mitochondrial protein associated with cytoplasmic male sterility in the T cytoplasm of maize. Proceedings of the National Academy of Sciences U.S.A. 84(15):5374-5378. Fauron, C.M.-R., Havlik, M., and Brettell, R.I.S. (1990) The mitochondrial genome organization of a maize fertile cmsT revertant line is generated through recombination between two sets of repeats. Genetics 124, 423-428. Frank, K. and Manfred, J. (2008) Sippl High Performance Signal Peptide Prediction Based on Sequence Alignment Techniques. Bioinformatics 24:2172-2176. Gore, M.A. et al. A First-Generation Haplotype Map of Maize. Science 326(5956):1115-1117. Hack, E., Lin, C., Yang, H. and Horner, H.T. (1991) T-URF 13 Protein from Mitochondria of Texas Male-Sterile Maize (Zea mays L.). Plant Physiology 95(3):861-870. Hanson, M.R. (1991) Plant mitochondrial mutations and male sterility. Annual Review of Genetics 25:461-86. Keefe, A.D. and Szostak, J.W. (2001) Functional proteins from a random-sequence library. Nature 410:715-718. Levings, C.S. (1990) The Texas cytoplasm of maize: Cytoplasmic male sterility and disease susceptibility. Science 250:942-947. Levings, C.S. (1993) Thoughts on Cytoplasmic Male Sterility in cms-T Maize. The Plant Cell 5:1285-1290. Long, M., Betran, E., Thornton, K. and Wang, W. (2003) The origin of new genes: glimpses from the young and old. Nature Reviews Genetics 4:865-875. Meyer, S.C. (2013) Darwin’s Doubt: The Explosive Origin of Animal Life and the Case for Intelligent Design. HarperOne. Pring, D.R., Gengenbach, B.G., and Wise, R.P. (1988). Recombination is associated with polymorphism of the mitochondrial genomes of maize and sorghum. Philosophical Transactions of the Royal Society B 319:187-198. Rottmann, W.H., Brears, T., Hodge, T.P., and Lonsdale, D.M. (1987). A mitochondrial gene is lost via homologous recombination during reversion of CMS T maize to fertility. EMBO Journal 6:1541-1546. Schnable, P.S. et al. (2009) The B73 maize genome: complexity, diversity, and dynamics. Science 326(5956):1112-1115. Soderlund et al. (2009) Sequencing, Mapping, and Analysis of 27,455 Maize Full-Length cDNAs. PLoS Genetics 5(11):e1000740. Sofi, P.A., Rather, A.G. and Wani, S.A. (2007) Genetic and molecular basis of cytoplasmic male sterility in maize. Communications in Biometry and Crop Science 2(1):49-60. Turgeon, B.G. and Baker, S.E. (2007) Genetic and genomic dissection of the Cochliobolus heterostrophus Tox1 locus controlling biosynthesis of the polyketide virulence factor T-toxin. Advances in Genetics 57:219-261. Vielle-Calzada et al. (2009) The Palomero genome suggests metal effects on domestication. Science 326(5956):1078. White, N.J. (2004) Antimalarial drug resistance. The Journal of Clinical Investigation 113(8):1084-1092. Wise, R.P., Pring, D.R., and Gengenbach, B.G. (1987). Mutation to male fertility and toxin insensitivity in Texas (T)-cytoplasm maize is associated with a frameshift in a mitochondrial open reading frame. Proceedings of the National Academy of Sciences U.S.A. 84:2858-2862. Photo credit: A cornfield, by Freestyle nl [CC BY-SA 3.0], via Wikimedia Commons. Editor’s note: This post was updated on April 10, 2019.